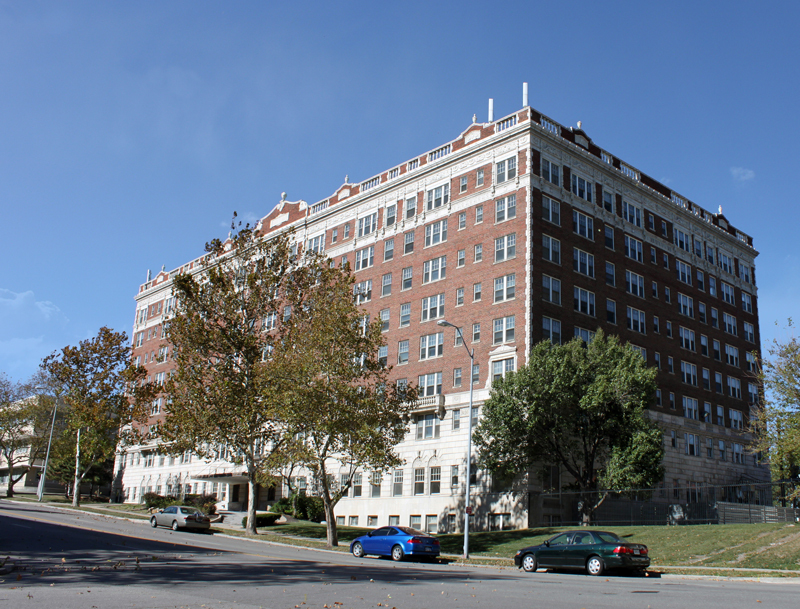 STRATA Architecture Inc. was hired as the architect of record for the exterior rehabilitation of several historic apartment building along Armour Boulevard in Kansas City, Missouri. 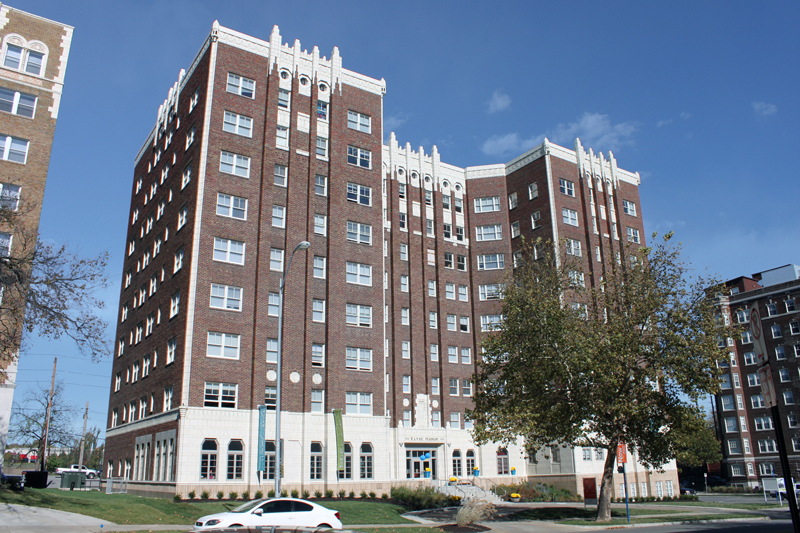 Our firm also served as a preservation consultant for the architects responsible for the interior rehabilitation of these historic high and low-rise apartment buildings, which are listed in Local and National Register Historic Districts. 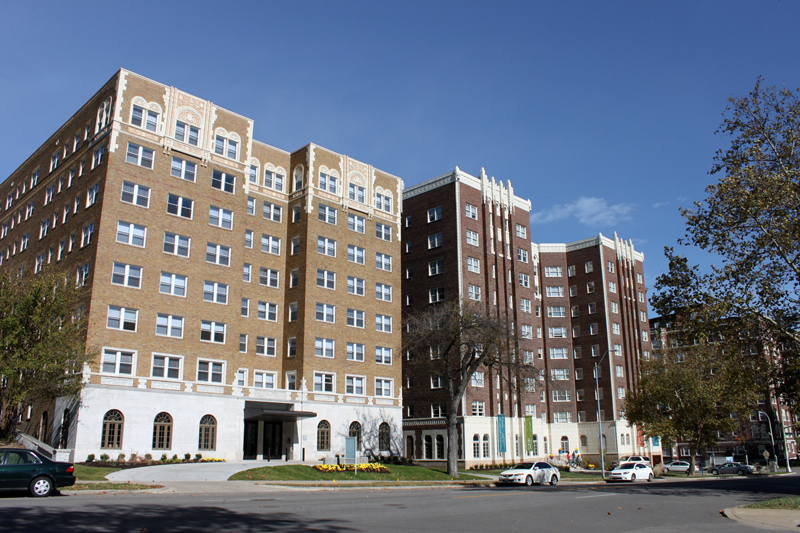 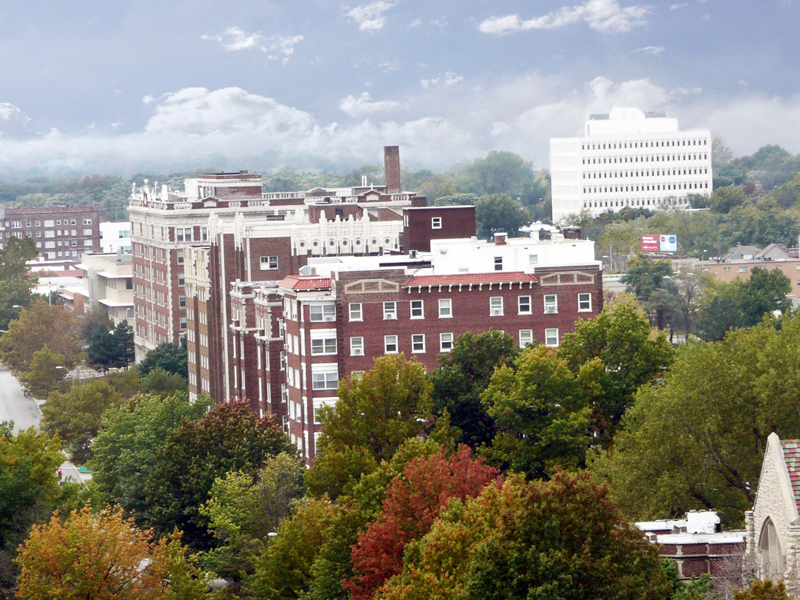 The buildings were converted into apartments, utilizing State and Federal Rehabilitation Tax Credits and Owner’s investment of over $48 million. 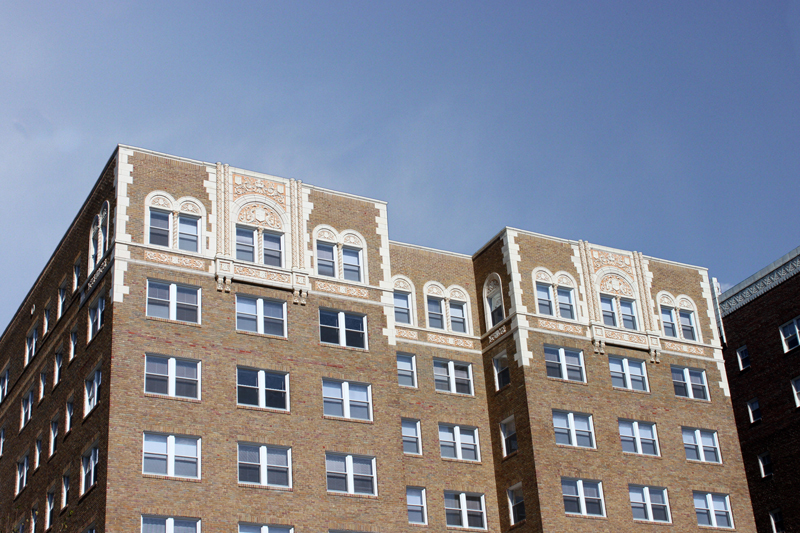 The exterior masonry façade rehabilitation work included a conditions assessment and detailed construction documents for historic materials, including terra cotta, brick, stone, mortar, roofing, wood windows, roofing, and lighting.